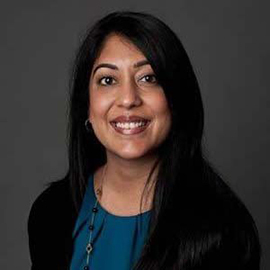 Tina K. Shah is the assistant general counsel for Turner Broadcasting System, where she focuses on strategic business and legal advice, risk assessment and overall legal support for all sports and various digital and entertainment businesses within the company. Prior to this position, Shah was the lead attorney for Turner Sports, where she negotiated rights agreements with sports leagues as well as drafted and negotiated talent agreements. She also offered legal support for digital, connected TV and mobile businesses, and advertising and marketing plans. She previously was an associate with Alston & Bird in Atlanta. Shah interned with Georgia Supreme Court Justice Leah Ward Sears as well as U.S. Senator Bob Graham, the U.S. Equal Employment Opportunity Commission and the Coca-Cola Company. She earned her bachelor’s degree with honors from the University of Florida and her Juris Doctor from Emory University.